1.Extensive vehicle coverage for more than 70 vehicles makes from US domestic, Europe, Asia, Australia and China. 2.Supporting 25 languages: Italian, Chinese (Simplified), English, Chinese (Traditional), Japanese, German, Russian, French, Spanish, Portuguese, Polish,Turkish, Dutch, Hungarian, Korean, Czech, Arabic, Indonesian, Persian, Thai, Vietnamese, Finnish, Swedish, Romanian, Bosnian, etc. 3.Complete function capability including live data, ECU programming and so many others. 4. 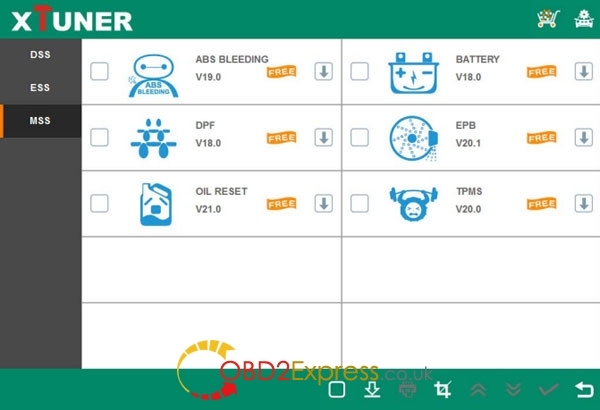 Unparalleled OBDII functionalities-support ALL 5 OBDII protocols and ALL 10 test modes. 5. Automatic Wi-Fi updates available in new software releases. Wi-Fi internet capability allows for wireless access throughout the workshop. 6. Wi-Fi internet capability allows to wireless access to the workshop. 7. 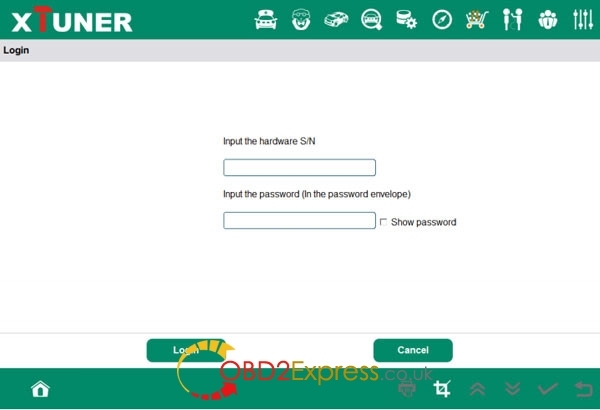 Can indentify the year and model of the vehicles automatically and quickly. 8. With brand-new design, the hardware features in stability and anti-interference, the built-in overvoltage protection module is able to protect scanner and vehicle against accidental damage during checking. 9. Work stably and smoothly in high and low temperature environment. 10.Operating systems: compatible with Windows XP/7/8/10, which can guarantee stable performance, better compatibility and expandability. 11. Extremely easy-to-use with touch-screen operation and intuitive operation in the windows. 13. Hardware architecture uses a new design with multiple protection, interference and stability. Built-in overvoltage protection module is applied, in order to protect scanner and vehicle against accidental damage during checking. 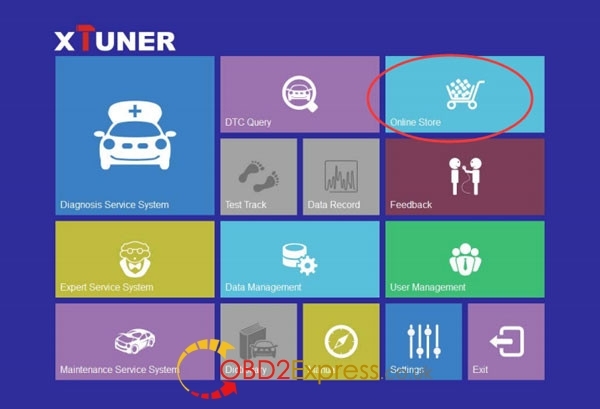 1.Rolls-Royce is added to the IDUTEX Store. 1. Modified many details of the interface, better user experience than before. 2. More united and vivid color, provide better overall visual effect. 3. Improved the proportion of the home screen, make a generous and beautiful interface. 4. Added drop-down menu, users can quickly and easily enter the relevant function interface. Optimize display interface of the data flow. 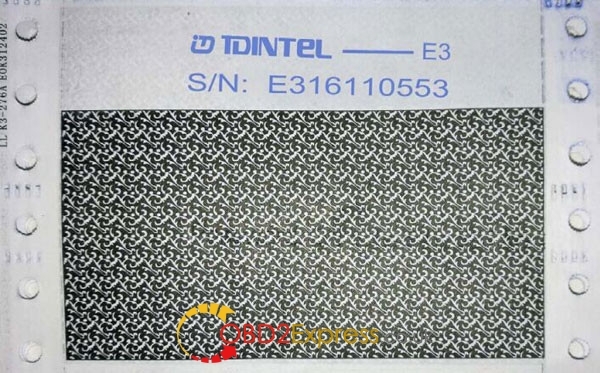 ISO9141-2,ISO 14230, ISO 15765, SAE J1850-(PWM), SAE J1850-(VPW), etc. ● Extensive vehicle coverage for more than 70 brands worldwide including American, European, Asian, Australian and Chinese vehicle makes. 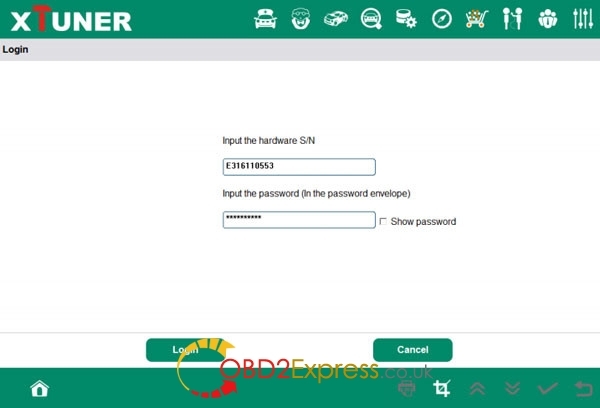 ● Powerful multiple functions such as real time data, ECU programming and so much more. ● Unparalleled OBDII supporting capability for all 5 OBDII protocols and 10 testing modes. US domestic: CHRYSLER, FORD, GM, JEEP, SCION, etc. European: ABARTH, ALFA, ASTON, AUDI, BENTLEY, BENZ, BMW, BUGATTI, CITROEN, DACIA, FERRARI, FIAT, FORDEU, JAGUAR, LAMBORGHINI, LANCIA, LANDROVER, MASERTI, MINI, OPEL, PEUGEOT, PORSCHE, RENAULT, SAAB, SEAT, SKODA, SMART, VAUXHALL, VOLVO, VW, etc. Asian: ACURA, ASIAGM, DAEWOO, DAIHATSU, HONDA, HYUNDAI, INFINITI, ISUZU, KIA, LEXUS, MAZDA, MITSUBISHI, NISSAN, PERODUA, PROTON, SSANGYONG, SUBARU, SUZUKI, TOYOTA, etc. Australian: HOLDEN and FORD (AUSTRALIA). 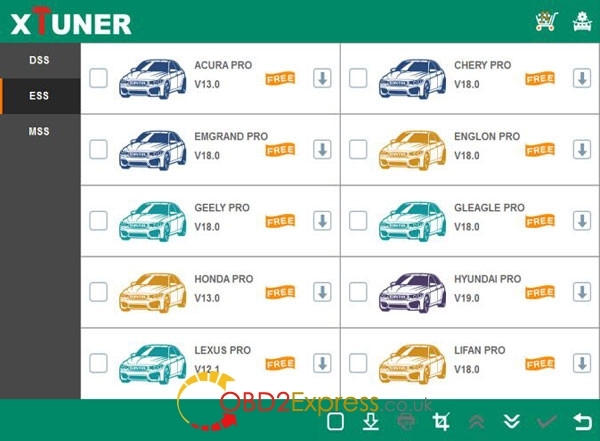 China: BYD, CHANGAN, CHANGHE, CHERY, EMGRAND, ENGLON, FOTON, GEELY, GLEAGLE, GWM, HBSH, HUACHEN, LIFAN, WULING, YUAN, etc. 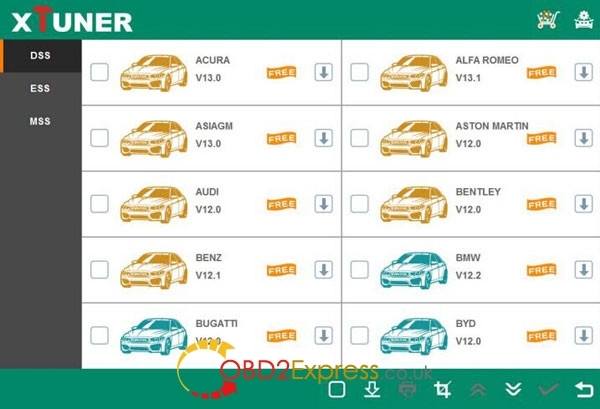 OBDII vehicle: CHRYSLER, FORD, GM, TOYOTA, LEXUS, HONDA, HYUNDAI, KIA, MAZDA, MITSUBISHI, NISSAN, SUBARU, SUZUKI, ABARTH, ASTON MARTIN, BUGATTI, FERRARI, LAMBORGHINI, MASERTI, BENZ, BMW, VW, AUDI, SEAT, SKODA, PORSCHE, JAGUAR, LANDROVER, VOLVO, SAAB, ALFA, etc. ME-Motor electronics, CDI-Common Rail Diesel Injection, ETC-Electronic transmission control, ESM-Electronic selector module, SBC - Sensotronic Brake Control, ESP-Electronic stability program, BAS-Brake assist, Suspension, TPC-Tire pressure monitor, Airbag, CGW-Central gateway, EIS-Electronic ignition switch, OCP-Overhead control panel, UCP-Upper control panel, XALWA-Xenon headlamp, HRA-Headlamp range control, ATA-Anti-theft alarm system, IC-Instrument cluster, ASSYST-Active Service System, SCM-Steering column module, EPS-Electrical power steering, PTS - Parktronic system, EPB-Electric parking brake, COMAND/AUDIO, CD/DVD, TV tuner, CTEL-Cellular telephone, DCM-Door control module, ESA driver-Electric seat adjustment driver, ESA passenger-Electric seat adjustment passenger, AAC-Air conditioning, WSS-Weight sensor system, SVMCM-Special vehicle multifunction control module, etc. 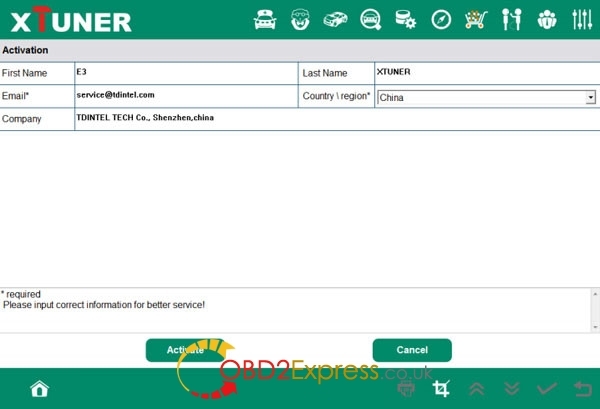 Expert service system, according to customers’ requirement list, focus on special functions such as Oil change, Idle speed learning, Idle speed Adjustment, Air bleeding, Level calibration, Throttle adaptations, Steering Angle Sensor Calibration, EPB Reset, DPF Reset, ECU Initial startup, ECU initialization, etc. Maintenance service focus on daily maintenance special functions, such as Oil reset, EPB, TPMS, ABS BLEEDING, DPF, ETS, BATTERY, INJECTOR. 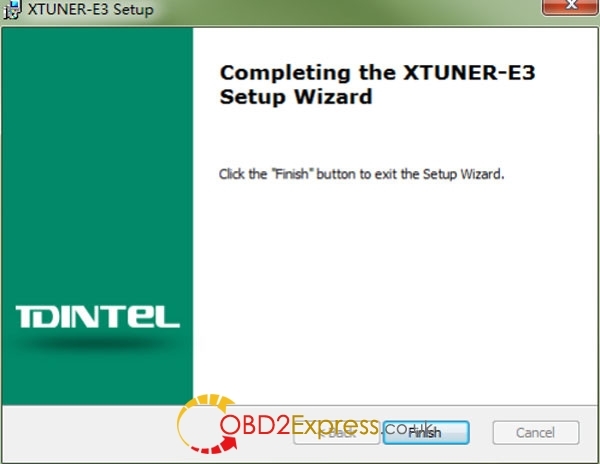 Part1: How to install XTUNER E3? Part2: How to Activate account? Part3: How to download software? XTUNER-E3 installed successfully. Click finish button to exit the setup wizard. Part2: How to Activate Software? At first, you should keep the network working. Here Need you input your information and click “Activate”. 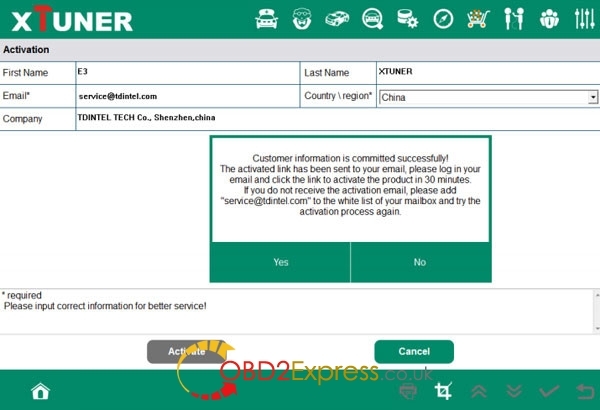 Note: Your email address must be real in order to get the activated link and the further better service from the manufacturer. The software update reminder and the new product release information will be sent to your email. 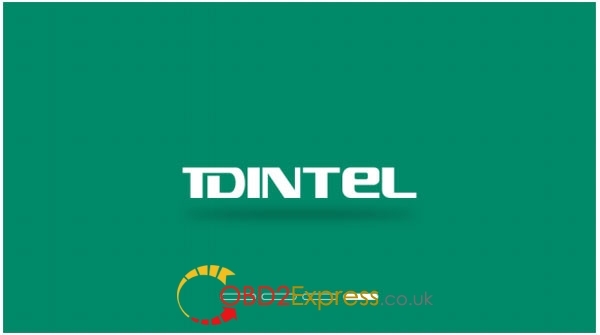 If you do not receive the activation email, add "service@tdintel.com" to the white list of your mailbox and try the activation process again. Company name within 250 characters. 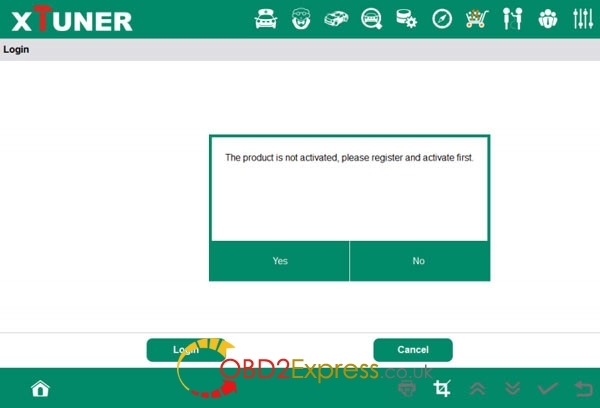 You should click the link to get the confirmation from the manufacturer. 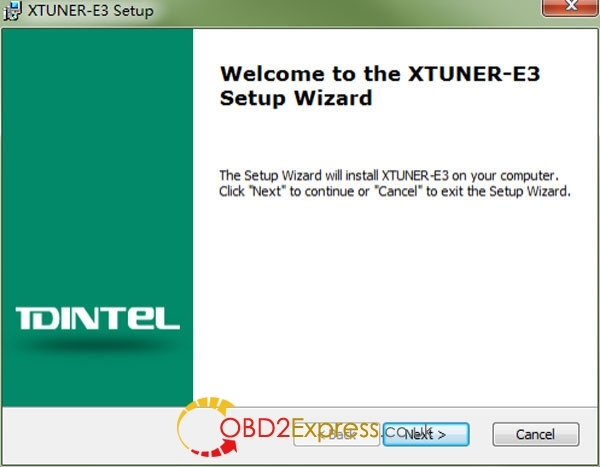 Part3: How to download the XTUNER E3 software? There are three modes for downloading, one by one and one-click. It may take a long time to download all the software, due to your network speed reason.